On the basis of the long-term proximity to our customers we have developed standardized container solutions which are tailored for frequent applications. These technology containers can be pre-assembled in the plant and placed anywhere in an uncomplicated and quick way as plug & play solution. The single module in different sizes up to the multi-piece combined / stacked system. 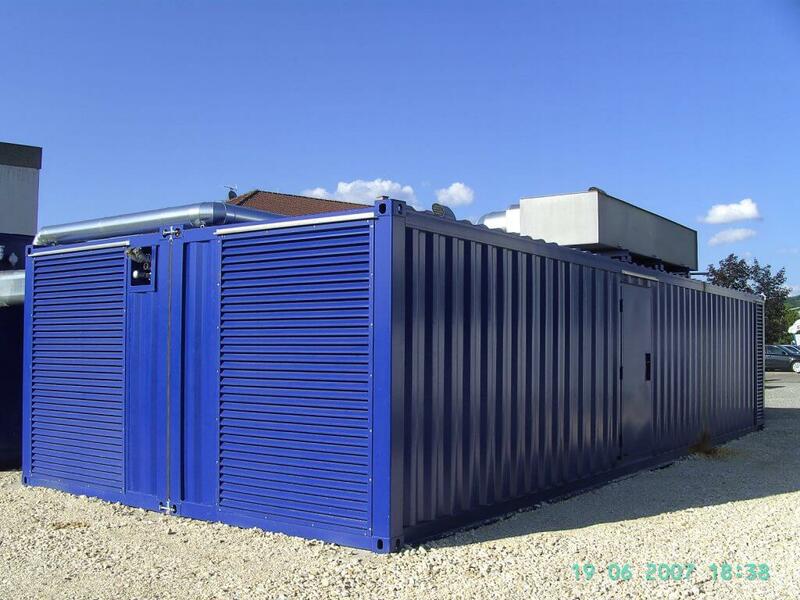 The container is prepared for a trouble-free and quick installation of the system components. We are delivering in time so that the fitout may be done quickly and the system can be delivered within a short period of time. The large interior enables the optimal positioning of the installations, guarantees best possible ventilation (also with room air conditioners) and facilitates the operation and service work. In the head office near Stuttgart, Germany the container systems are planned according to your instructions. After your approval they are individually produced in the steel mill. Each equipment container is delivered with the corresponding documentation in German language. The advantages over the installation in buildings are obvious. The containers are delivered in a ready-to-install way. The system technology may be pre-assembled and installed in your plant. There are no interface problems. The quick usability and the simple transport save valuable time and cost-intensive assembly on site. The maintenance is cost-effective through the easy-to-service design and a thought out construction. Further advantages result from the saving of costs for the structure and from the mobility of the whole system.